Bots — software designed to automate human tasks — are having a moment. As we approach what Recode calls “app fatigue,” the tech community is focusing its attention and resources on bots — and chatbots in particular. Chatbots afford a new path for reaching customers via simulated conversation, providing service and in some instances even curating and communicating news. In the near future, bots could well replace the core components of apps — if not replace them entirely. Facebook, Apple, Microsoft and Google are jumping on the bots bandwagon. Given that these leaders have to date created (and dominated) the app ecosystem — and are making rapid strides in artificial intelligence — the recent emphasis on bots is in many ways a natural progression. According to Recode, Facebook has shown particularly strong interest in communicating with their 900 million Messenger users via chatbots, for sharing curated ads and news updates, or providing personalized customer service. In lieu of these developments, leading media companies are feeling the pressure to keep up and embrace bots as the next big trend in user engagement. Bots have been front of mind here at Wizeline largely due to some recent and exciting work we’ve been doing with a few of our customers. One in particular — a large media company — is making big strides. 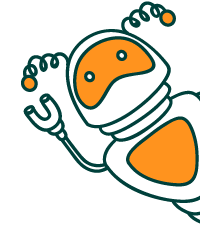 Our bots team began as three developers, but has since expanded quickly due to demand. This customizable bot built by the Wizeline team can be adapted to various needs across different parts of the media business, and is paving the way for the development of features that leverage advanced natural language processing (NLP) technologies. As artificial intelligence and machine learning continue to improve — and become far more accessible to developers everywhere — will chatbots become the de facto option for communicating with and engaging users? In the coming weeks, we’ll be polling a number of industry veterans on exactly this question, and we’ll be sure to share our results. 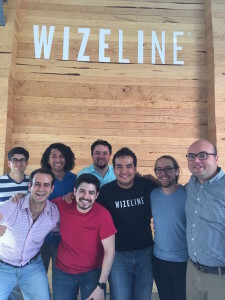 In the meantime, stay tuned for more updates from Inside Wizeline and our bots team! Posted by on Thursday, July 14, 2016.